Chrome leather design, smooth textured into stainless steel, polished to a gleam. 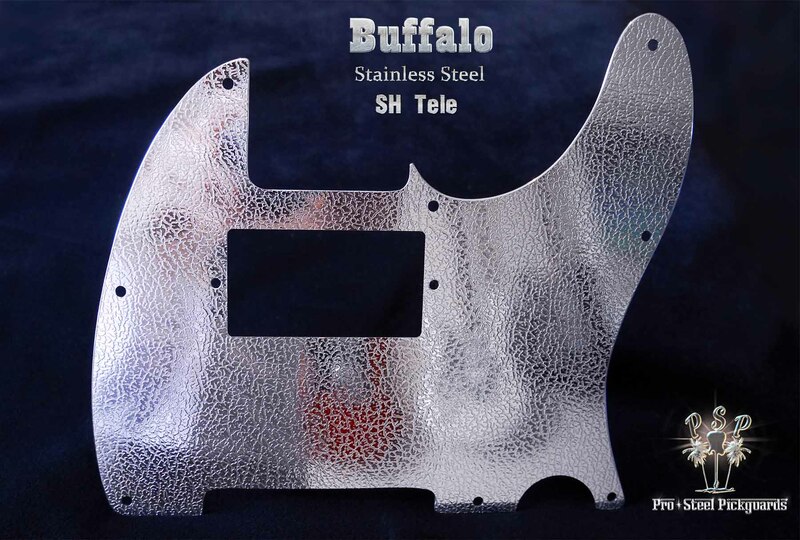 For SH Std Tele. Buffalo is leather grain with metal bling.